Read this user manual carefully before using this product. Pictures shown in this manual is for reference only, different model and specifications are subject to real product. This manual is applicable to MODULAR88 with little adjustment: MODULAR88 doesn’t support audio signal cards. This manual is only for operation instruction only, not for any maintenance usage. The functions described in this version are updated till August 2015. Any changes of functions and parameters since then will be informed separately. Please refer to the dealers for the latest details. All product function is valid till 2015-8-3. Product model, and logo are trademarks. Any other trademarks mentioned in this manual are acknowledged as the properties of the trademark owner. No part of this publication may be copied or reproduced without prior written consent. This equipment generates, uses and can radiate radio frequency energy and, if not installed and used in accordance with the instructions, may cause harmful interference to radio communications. It has been tested and found to comply with the limits for a Class B digital device, pursuant to part 15 of the FCC Rules. These limits are designed to provide reasonable protection against harmful interference in a commercial installation. Operation of this equipment in a residential area is likely to cause interference, in which case the user at their own expense will be required to take whatever measures may be necessary to correct the interference. Any changes or modifications not expressly approved by the manufacture would void the user’s authority to operate the equipment. To insure the best from the product, please read all instructions carefully before using the device. Save this manual for further reference. l Follow basic safety precautions to reduce the risk of fire, electrical shock and injury to persons. l Do not dismantle the housing or modify the module. It may result in electrical shock or burn. l Using supplies or parts not meeting the products’ specifications may cause damage, deterioration or malfunction. l Refer all servicing to qualified service personnel. l To prevent fire or shock hazard, do not expose the unit to rain, moisture or install this product near water. l Do not put any heavy items on the extension cable in case of extrusion. l Do not remove the housing of the device as opening or removing housing may expose you to dangerous voltage or other hazards. l Install the device in a place with fine ventilation to avoid damage caused by overheat. l Keep the module away from liquids. l Spillage into the housing may result in fire, electrical shock, or equipment damage. If an object or liquid falls or spills on to the housing, unplug the module immediately. l Do not twist or pull by force ends of the optical cable. It can cause malfunction. l Do not use liquid or aerosol cleaners to clean this unit. Always unplug the power to the device before cleaning. l Unplug the power cord when left unused for a long period of time. l Information on disposal for scrapped devices: do not burn or mix with general household waste, please treat them as normal electrical wastes. Modular Matrix Switcher 8x8 (with Audio) is a high-performance8x8 video and audio modular matrix switcher. It supports different video signals with cross switching. Every video or audio signal is transmitted and switched independently to decrease signal attenuation.Modular Matrix Switcher 8x8 (with Audio) supports various changeable cards including HMDI, DVI, VGA, SDI and HDBaseTetc.Users can choose to insert different signal card for different application. Modular Matrix Switcher 8x8 (with Audio)boasts poweroffmemory and audio signal can be switched separately or jointly with video signal. It has1 RS232 port and 1 optional TCP/IP port for convenient control from third-party. With its flexible design, Modular Matrix Switcher 8x8 (with Audio) can be used for different project and tend to be an all-in-one solution. It is the combo solution for multimedia conference rooms, control rooms, broadcasting rooms, shopping center etc. It will handle all the audiovisual management, including the switching, driving, scaling etc. l Modular chassis with configurable I/O slots, ranging from 4x4 to 8x8. l Various I/O cards, includes HDMI, HDBaseT, SD/HD/3G-SDI, DVI and VGA cards (Compatible with YUV, YC & CVBS.) to configure any matrix. l Truly cross-point switching, any input to any output, regardless signal format. 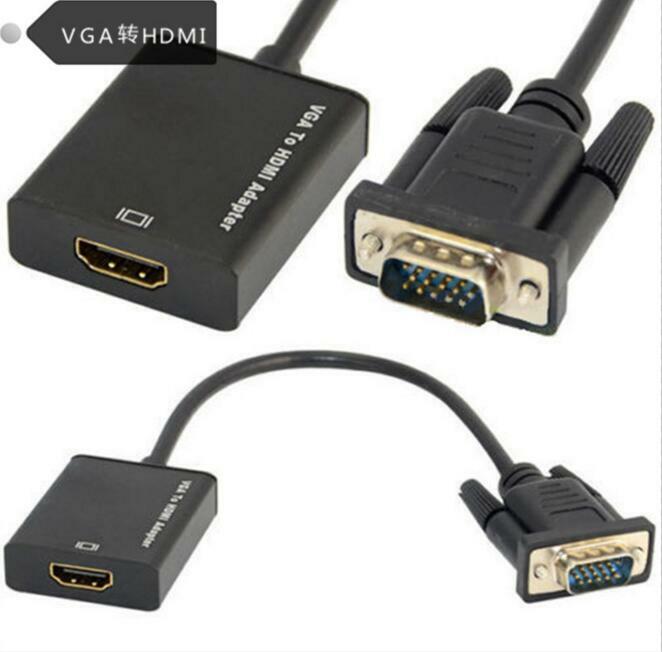 l Support HDMI1.4a, support 3D. l Controllable via button, RS232 &optional TCP/IP, also compatible with 3rd parties control. Notes: Confirm all theaccessories are included, if not, please contact with the dealers. 1 my dear friends, this is a very powerful matrix, due to platform limitations, only upload part of instruction, need complete specifications, please leave a message to me, thank you! 2 this product price does not include the card signal, need specific signals card please in my card order special links, thank you!